Just imagine a samurai surfing on the waves of Suruga Bay in Shizuoka Prefecture! 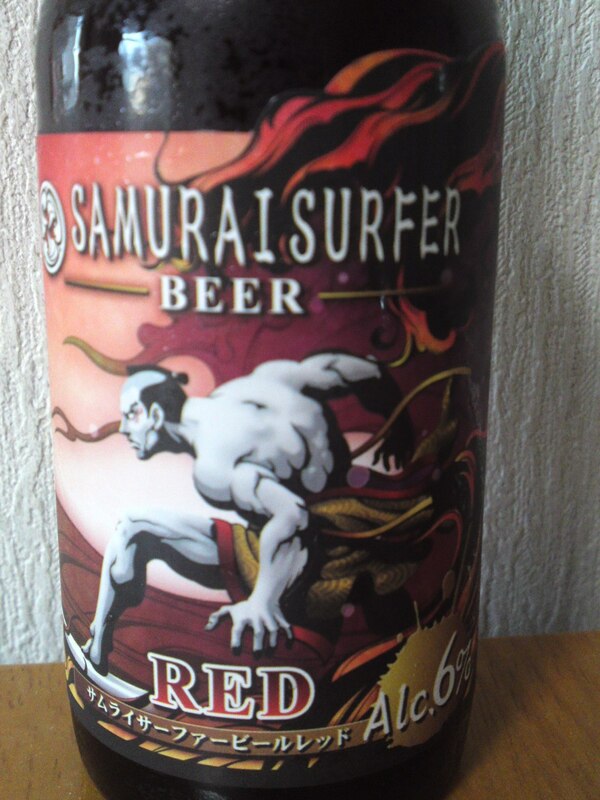 Samurai Surfer Beer is and ofshoot of a Tokyo-based brewery called Nihon Beer Co but it is run apparently in a more or less independent manner and can be considered as the newest and tenth craftbeer brewery in Shizuoka Prefecture. I know a lot of collectors who will want this label! It is located in Numazu City, at the foot of Mount Fuji, a fishing town made internationally famous by the like of Baird Beer/Baird Brewing Company run by Bryan baird from the US. 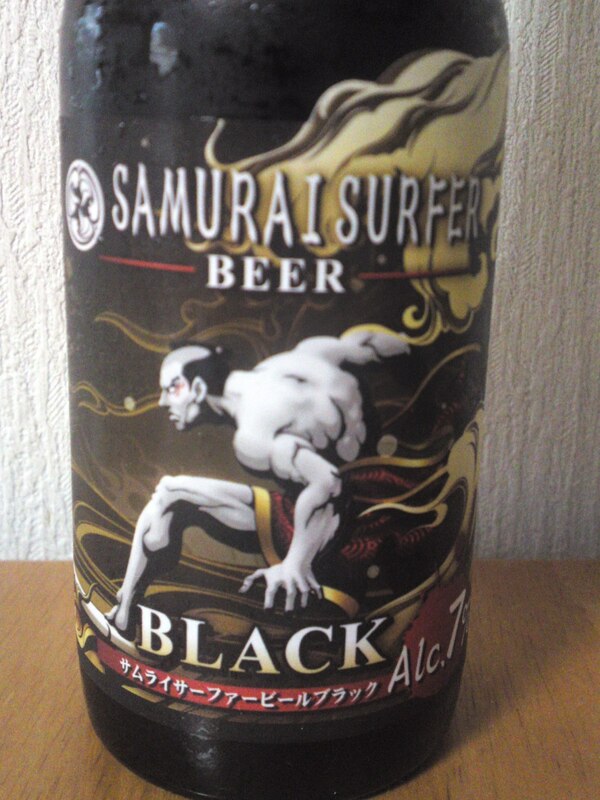 Samurai Surfer Beer so far has come into the shape of two brews and this is one of them called “BLACK”. Aroma: Assertive at first but elegant. Bread, caramel. 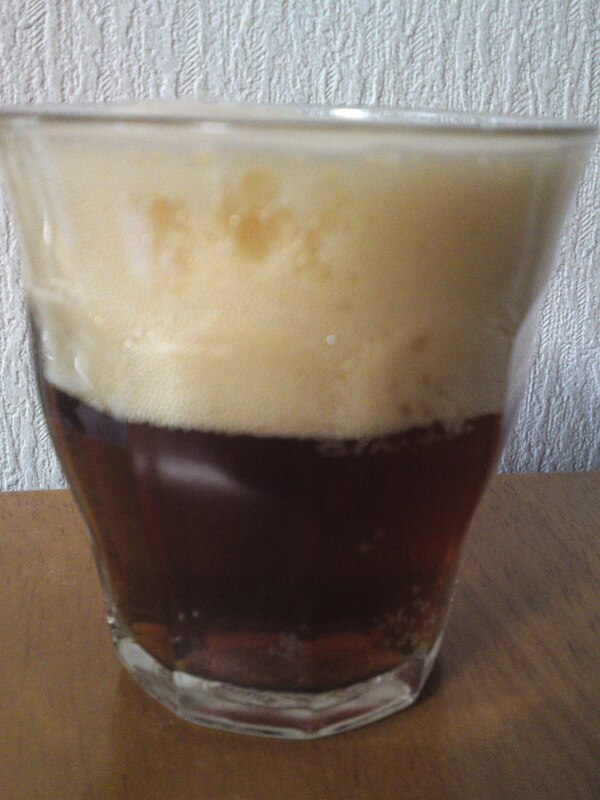 Taste: Very refreshing and fruity but deep well-rounded attack after a quick passage through a light foam. Bread, caramel, roasted grains/nuts, hints of oranges, coffee beans, dark chocolate and nuts. Stays dry on the palate but with plenty of depth and welcome acidity. Solid, reliable and deeply satisfying. Lingers for a while on the palate with strong hints of caramel. Thoroughly enjoyable on its own as well as with any food. 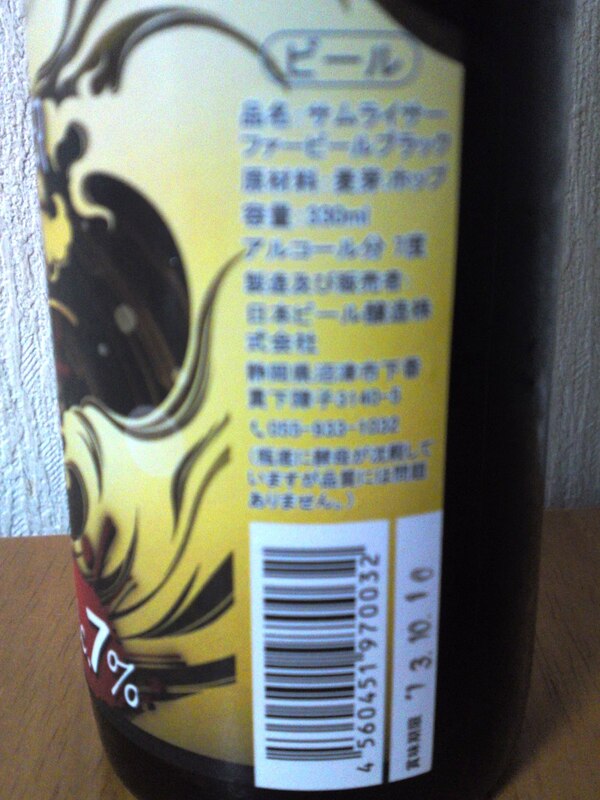 Overall: Lighter and more elegant than expected for a dark beer. Very satisfying. 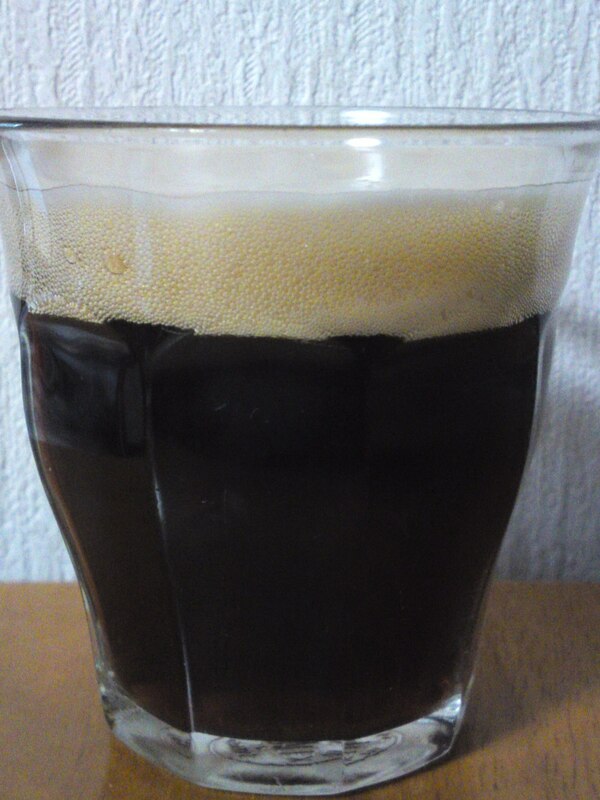 its relative lightness makes it a porter beer enjoyable by both genders at any time of the afternoon and evening and night. 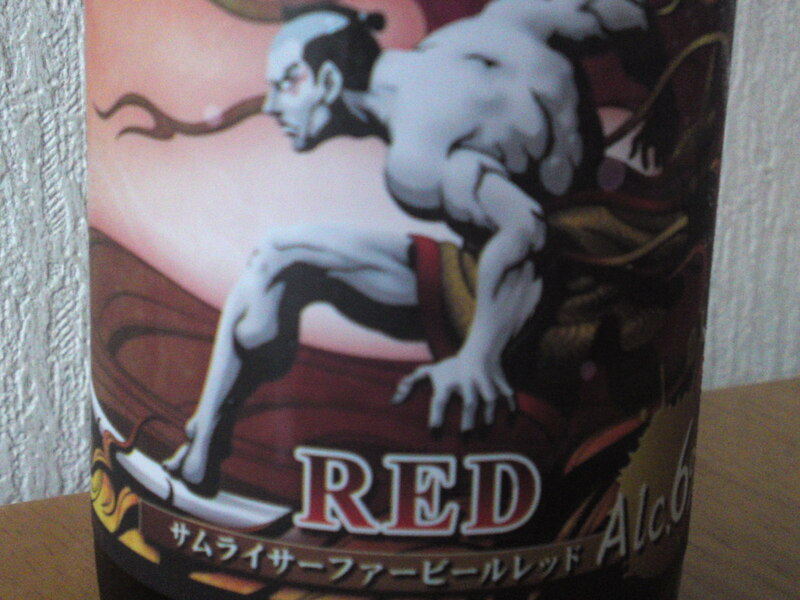 Once again just imagine a samurai surfing on the waves of Suruga Bay in Shizuoka Prefecture! 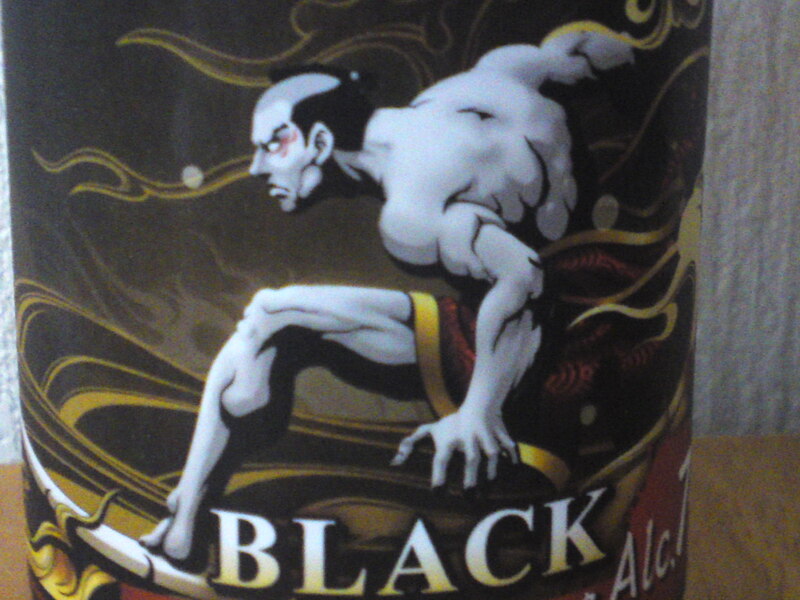 This the second beer they produce with the BLACK one! I know a lot of collectors who will want this label, too! Aroma: Elegant and dry. Bread, caramel, ornages, roasted nuts. Not as dry as expected. Welcome faint acidity. Very refreshing and easy to drink. Doesn’t linger so long on the palate but still leaves a smooth but light impression. Marries very well with any food. Very well balanced thanks to the right amount of alcohol. Overall: Like the BLACK (7%) draught will please both genders at any time of the afternoon, evening and night, whatever the season. Not a thirst-quenching beer really but one to enjoy for its sake at your own pace. 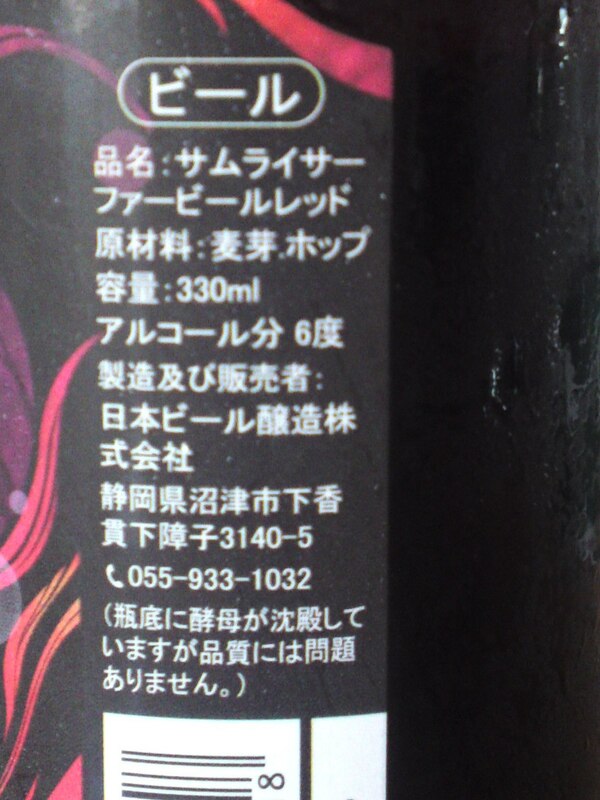 Complex but easy to drink. The kind of beer that invites you to another glass!